2016 trends continue with Fireplaces. Elle Decor and Houzz both listed it on there must have for 2016 New Year trends. Non-working or working Fireplaces make a classy touch to any room. This new addition is also cost effective and comes in all different styles such as Traditional, Modern, or Rustic. If you have a non-working Fireplace, this is a great opportunity to use it to add a decorative flare. Just image the possibilities, you could stack firewood in it, add some candles to give the illusion of light, cover the backdrop with artwork, incorporate flowers for a natural touch, add coral to create an oceanic theme, add color to a neutral room with bright vases, store books, build a book shelve, or create a makeshift wine bar. Below I've selected my fae'vorite inspirational designs that have beautifully mastered this trend in various styles. 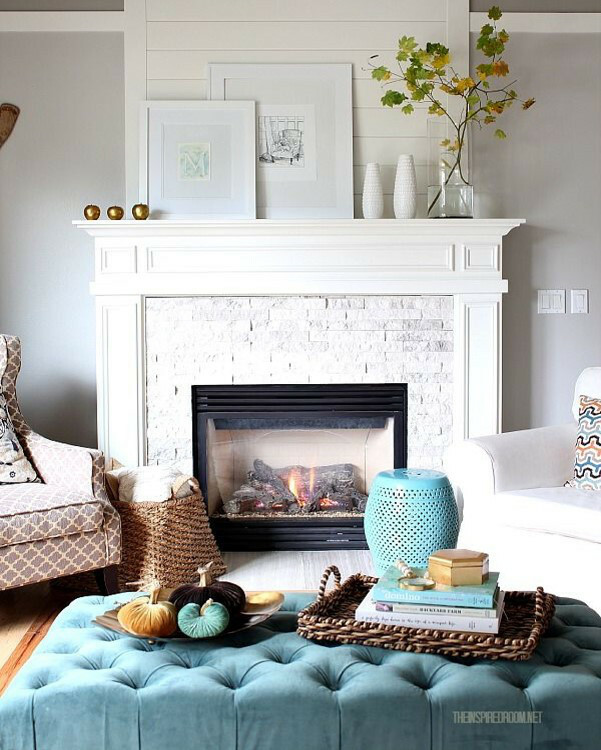 If you want to add a fireplace to your home scroll down to shop this trend!